See what's possible when you optimize your Raiser's Edge database. Solutions aren't solutions if you can't afford to implement them. Proudly serving and priced for non-profits. Offering expertise in Blackbaud's Raiser's Edge™ so you can focus on your mission, not your software. Screen recordings and step-by-step instructions ensure solutions keep working long after the project's end. 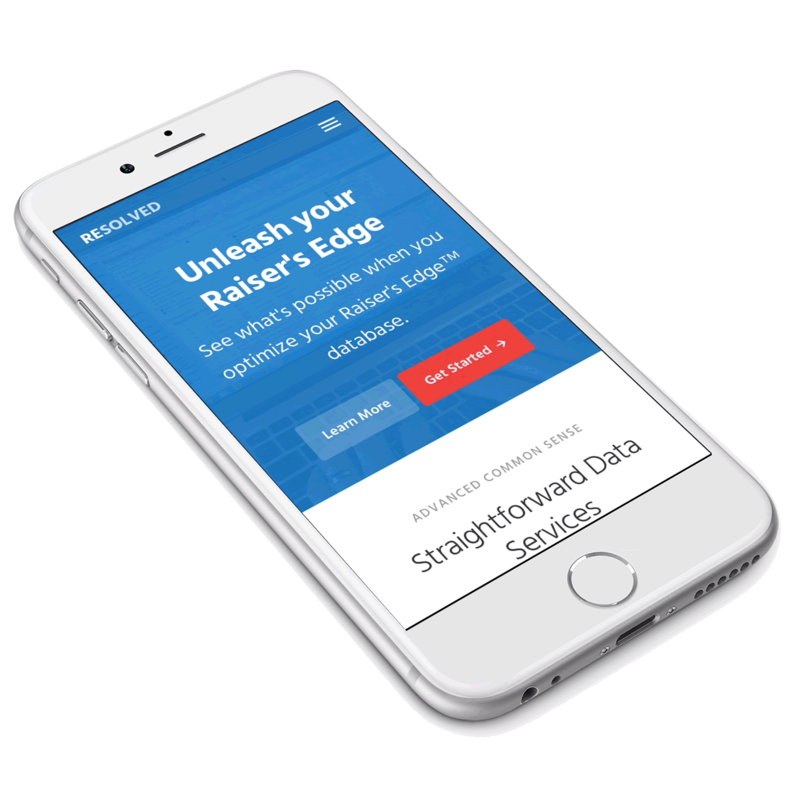 The strength of Raiser's Edge™ has always been its well-structured data. Discover what happens when that structure meets modern, mobile solutions & analytics. Refreshing to work with people who understand both what fundraisers need and what databases can deliver. We received a prospect management system tailored to our needs with custom reports that anyone, everyone on our staff could run. Able to turn complex projects into manageable milestones. Ability to work smoothly with technical and non-technical teams speaks to both fluency and professionalism. Helped us troubleshoot all the issues that arose when we moved from being on premise to being hosted by Blackbaud, making the transition as efficient and seamless as possible. From standardizing your data to custom crystal reports to analytics, get in touch to discover what your Raiser's Edge can really do.